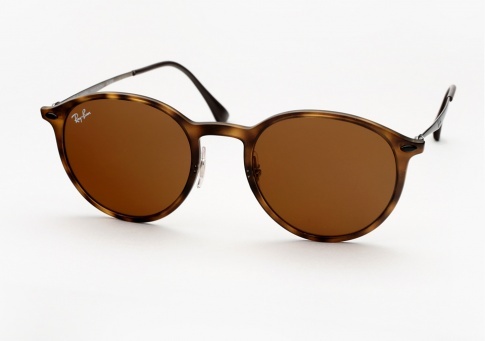 Ray Ban RB 4224 Round Light Ray - Matte Havana Need Help? The Ray Ban RB 4224 "Round Light Ray" combines advanced technology and innovative materials to transform a classic shape into a featherweight high performance icon. The round sun shape is made using super light titanium temples and screwless Light Ray hinges with no welding for enhanced resilience,endurance, and light weight all-day comfort. Adjustable nose-pads provide a finely tuned fit.